Steven Bannon talks about the Rule of Law Fund and the trade war: All they do is steal. 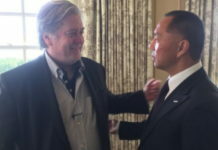 Earlier today, sitting together with Miles Kwok for lunch at his New York penthouse, Steven Bannon outlines the guidelines of the Rule of Law Fund in helping China’s process of freedom and democracy, and tells about updates on the long lasting trade war between China and the US, also as a response to questions raised by Lude Talks. 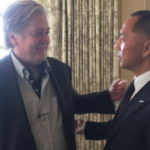 Steven Bannon said the Fund would not accept small donations, reasoning “The first hundred donors you get-small donors-will be all CCP agents.” With that, Miles Kwok said Bannon really has a deep understanding of the nature of CCP. Steven Bannon has praised the Chinese entrepreneurship in building the country. 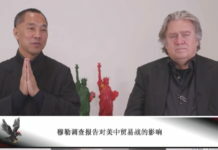 He said, “The most successful, energetic and entrepreneurial people in Chinese society that have helped the Chinese people and helped build China are the entrepreneurs, not the CCP.” Bannon went on to say that The Rule of Law Fund is to help these private entrepreneurs under CCP persecution. 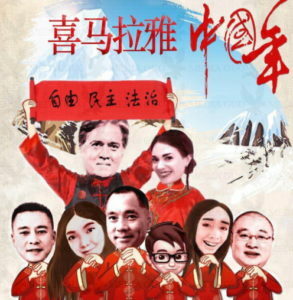 Bannon holds that without the CCP rule, the ordinary Chinese people or the little guys will do even better with their hard work and spirits for creation. 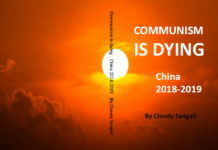 Therefore he says, The Rule of Law will protect the little guys in China. Why they do this? Bannon added the CCP have done the evils because they understand these little guys represent the force for freedom in China. “All they can do is steal”, Bannon stressed. Bannon says the CCP is playing around with the ups and downs of the economy to steal the wealth from the hard working Chinese. They manipulates the stock market for their own benefits. As to “how to protect or help these innocent Chinese people”, Steven Bannon rules out his strategy in three aspects. First, the absolute exposure of what has happened to them. Second, governments of the west, not just the United States, but United Kingdom, Switzerland, and other like-minded countries like Brazil should help those Chinese private entrepreneurs under CCP persecution, “to make sure we give them local asylum for the safety of themselves, their employees and their relatives”, as Steven Bannon has suggested. Third, we shall have the commercial banks, the International Monetary Fund, and other world banks to put pressure on China, specifically in regards to law firms dealing with China so that they can get their assets back. 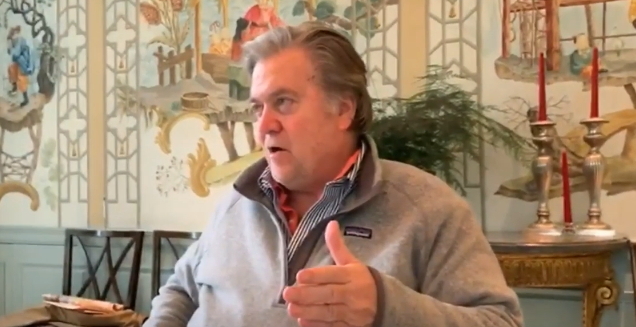 Bannon said with the Rule of Law Fund, his legal team intends to not just look into the banks in collaboration, but to the source of the money, to reveal how they have made their secret deals with the corrupt CCP government and its overseas representatives. 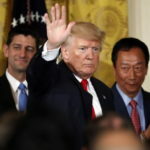 Lude Talks has raised the concerns of many with different versions in the policies of Trump’s administration about the trade war with China. 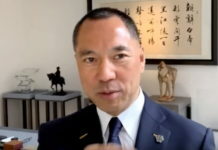 With the help of Miles Kwok in the past two years with his whistle blows to reveal CCP’s corruption and other scandals, more and more people in the west, not just the United States, have come to differentiate China and the vicious CCP. And President Trump is also very clear about that. 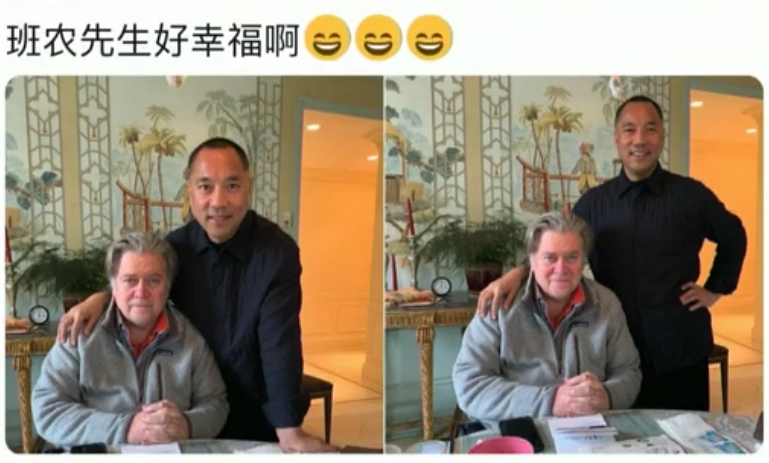 Steven Bannon said, “What he (Trump) said is that we understand that we have a very close relation with the Chinese people, a very close relation with the country of China. 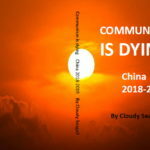 But what you had is a kind of radical condrill of the CCP. That has forced into all aspects of society – basically war, information war, economic war, is outlined in the book The Un-restricted Warfare.” During the talk, Bannon took the book which he has carried along almost like a Bible. Bannon affirms that the American government and American people understand China is not the enemy, the Chinese people not the enemy, but a radical element of the CCP is the enemy. And all forces of the US government – by way of information warfare, economic warfare -have come to a consensus with the escalation of the trade war. 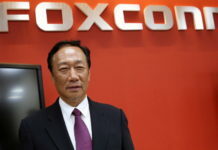 The Trump’s Administration, including Mike Pompeo, John Bolton, Steven Navarro, and others, they all know it’s game, according to Bannon, while Wang Qishan and the radical Communist few are enslaving the Chinese people, trying to take all the wealth of China for themselves, trying to have all the superficial negotiations on just objects, in trillions of dollars.